Is the Best Yet to Come, or the Worst? Lt. Col. Thomas D. Morgan, USA Ret. In fiscal year 1950, the entire Defense Department ran on about $120 billion a year (adjusted for modern inflation rates). The Army received no new equipment, but the Air Force and Navy got new supersonic aircraft and nuclear-powered ships and submarines. Now I read that the Navy is refusing the Pentagon’s efforts to make $17 billion in cuts over the next five years, and a Defense Business Board report says $125 billion in the defense budget can be redirected by using better business practices and management techniques. Surely, better times are upon us if that much can be saved. When Donald Trump was campaigning for the presidency, he announced that if elected, he would rebuild a “depleted” U.S. military and exercise restraint in involving it in foreign entanglements. He is in office now, but where will he find the money considering the restraints placed on DoD by Congress and other competing government agencies? The Pentagon is the biggest national budget expenditure already, yet Trump expects to find enough funds to expand the Army by about 60,000 more troops; the Navy by about 78 ships and submarines, to get the fleet up to 350; the Marines by more than 12,000 for infantry and tank battalions; and the Air Force by about 100 new combat aircraft. All of this will cost billions. The old plans to be able to fight two wars simultaneously will have to be reissued. With a retired Marine Corps general as the new secretary of defense, the Marines could be in line for a larger force structure—from 22 to a proposed 36 battalions of combat-ready troops. It does appear that the “best is yet to come,” but where does the money come from? That is the long pole in the tent. Many bright analysts and financial consultants have come up with ways to save a lot of money. For example, the Defense Business Board report estimates that out of a defense budget of about $580 billion annually, about $125 billion could be saved over five years, with the greatest savings achieved through early retirements and by reducing services from contractors. The report says this “moderate savings scenario” could fund 10 Navy carrier strike group deployments, 83 Air Force F-35 fighter wings, or 50 Army brigades. Robert O. Work, the deputy defense secretary, said the $125 billion savings proposal was unrealistic, but the Pentagon would adopt some of the study’s recommendations and save $30 billion by 2020. But who knows if the Pentagon has ever been properly audited to see where all the federal budget money goes? While we need to get our Pentagon house in order, there is also the matter of billions of dollars already spent on the ill-conceived wars in the Middle East and the nation-building of those countries’ shattered infrastructures. We will never get any payback from that. We may have found out the hard way that nation-building generally does not work. It requires too many preconditions such as stable, functioning host-nation governments that agree in principle with the U.S. way of doing things. In the past, the nations that did respond to our efforts, even though they were allies, did not always perform well. Vietnam is a good example because while it was estimated that a substantial majority of the government apparatus there was on our side, it still failed. We cannot even come close to optimistic estimates of success with the Middle Eastern countries. We spent billions trying to nation-build Iraq. We sent whole brigade-sized units there to train the Iraqis, but not before we had spent millions training our own soldiers how to do it. All of that money went for naught when the Iraqis asked us to leave and that country slid back into factional groups that could not get along, resulting in anarchy. Meanwhile, there are huge cost overruns for weapons that are not the most economical for the current wars. There is a propeller-driven Tocano fighter-bomber that is much more efficient for close air support in the Middle East than the F-35, which has incurred enormous cost overruns and is still not fully certified. The Navy has also managed to incur huge cost overruns with its new USS Zumwalt class of destroyers. It is the Navy’s most technically advanced surface ship. The new class of smaller littoral ships is also plagued with costly breakdowns. To be able to afford these advanced ships, the Navy was forced to put missile-firing cruisers into mothballs. The Navy needs to find more “hulls” for Trump’s 350-ship Navy. 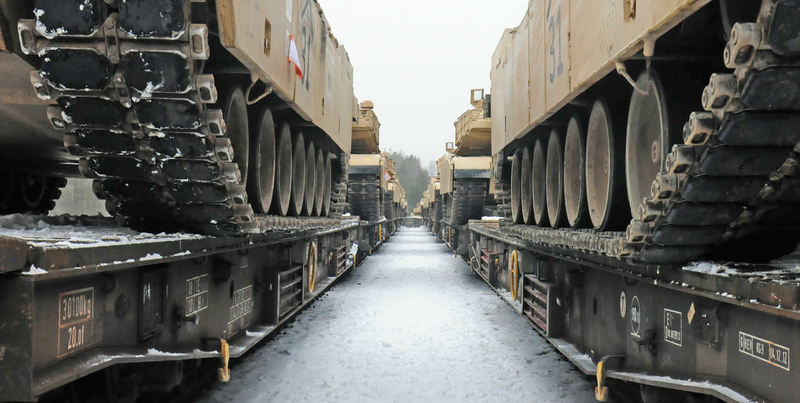 The Army got stuck buying about 27,000 MRAP vehicles for Afghanistan and Iraq. That buy cost about $50 billion just to protect a relatively small group of ground troops from explosive devices. MRAPs are a fiscal embarrassment. They were insisted upon by then-Secretary of Defense Robert Gates but their excessive weight, low fuel efficiency and expensive operating costs outweighed the few hundred troops who benefited from such expensive protection measures. Former Secretary of Defense Ash Carter also should have also known better since he was the Pentagon’s acquisition chief when those costly measures were developed and funds were obligated. We have spent hundreds of billions on the war and reconstruction in Afghanistan. Rampant corruption overshadows everything we do there. We are not getting good value for the billions spent on warfighting and nation-building. Efforts to fight corruption reported by the Special Inspector General for Afghanistan Reconstruction are near total failure. We are seeing that country slipping away from us. Roads that we built in Afghanistan now have to be redone because the Afghans did not take care of them in the first place. We have had to start all over in Iraq. Towns and cities once rebuilt with our Commander’s Emergency Response Program funds need another big infusion of developmental money from the U.S. Neither can we really justify the costs of our new cyber commands needed to defend our nation because their expensive facilities and personnel requirements have not been able to defend us yet. It will be hard to turn DoD around because the money spent on MRAPs should have been spent on the new Joint Light Tactical Vehicle, which was supposed to replace the Humvee. The money spent on new ship designs should probably have been used to bring some older, more reliable ships back; and cheaper combat aircraft that our allies can use are more practical than the F-35s and their derivatives. All of this military structure, force development and infrastructure construction costs billions. The Defense Business Board could really have a field day cutting this bloated military-industrial complex down to size. We shall see in the months and years to come if DoD can do it under a new presidential administration. There is an ancient Chinese saying that some people believe is a curse against Westerners: “May you live in interesting times.” Maybe these times are upon us, and “the best is yet to come” will turn into “the worst is yet to come” after all. Lt. Col. Thomas D. Morgan, USA Ret., is a West Point graduate who served in field artillery, Special Forces, civil affairs, community/public affairs and force development. He also worked as a civilian contractor for the Battle Command Training Program.